During the rainy season, we moms not become concerned with keeping our home safe and dry from floods but we also become quite paranoid with our family's health. Diseases become more common during the rainy days and I'm not only talking about colds and cough here. What we do not usually know is that, even after the floods subside, culprits of deadly diseases are still here. The Department of Health (DOH) warns us about Typhoid Fever and Cholera, two diseases related to contaminated water and floods. 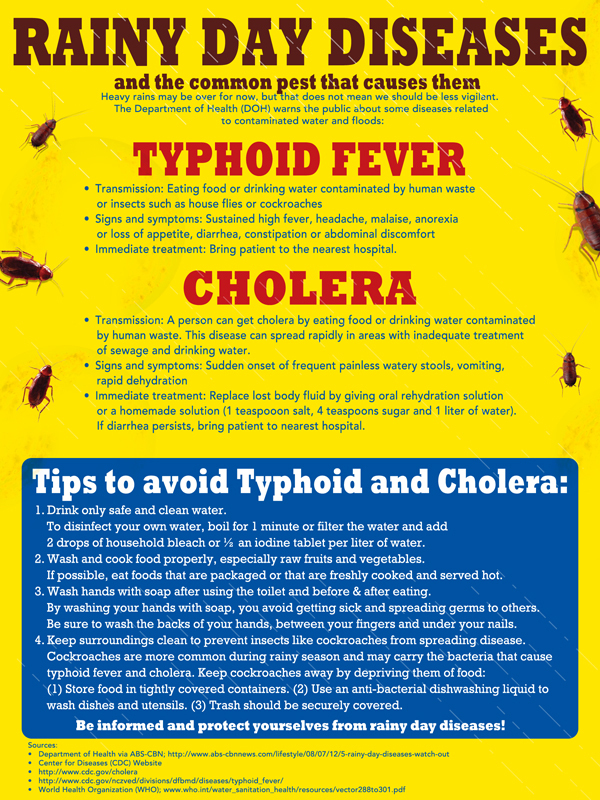 Read the infographic below to know more about these diseases. Special thanks to P&G and Joy Dishwashing Liquid for sharing this with us. Thanks for sharing these helpful tips. As moms, we really have to know more to be able to care more for our kids. Prevention is better than cure talaga. These are really practical and useful tips. Hopefully a lot more people would get to know them, especially those in more depressed areas. A lot of information that should really be taken seriously....Thanks for sharing this. Thank you for sharing helpful tips mommy Maureen. I hope you have time to visit my blog (http://www.adventuresonplanetmom.blogspot.com) because I have nominated you as one of the recipients of the Liebster Award. Congratulations!!! Very useful tips! I wish I've known this when I was younger, then I wouldn't have had typhoid back in college.. The information are useful most especially, to a mother like me who has a growing baby girl, who has to be protected with diseases like these.